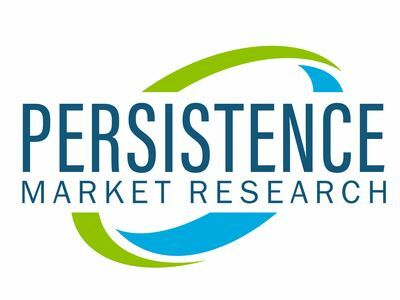 The latest report on the chondroitin sulfate market was published by Persistence Market Research, titled, Chondroitin Sulfate Market: Global Industry Analysis 2013-2017 and Forecast 2018-2026'. The chondroitin sulfate market is expected to reach US$ 569.6 Mn in terms of value by the end of 2018, and is forecasted to reach US$ 773.7 Mn by 2026 in terms of sales revenue. The overall global value of the chondroitin sulfate market is expected to grow in a CAGR of 3.8% in terms of sales revenue from 2018 to 2026. It has been observed that there is tough competition and fragmentation in the global chondroitin sulfate market. It is believed that chondroitin sulfate is consumed more in the pharmaceuticals and nutraceuticals end-use segment when compared to the other end-use segments such as cosmetics, personal care, aqua feed, and veterinary supplements. The improved usage of chondroitin sulfate in the pharmaceuticals and nutraceuticals segment is one of the major factors creating a good impact on the overall chondroitin sulfate market. Due to the high demand for joint health-related supplements from consumers and patients suffering from arthritis and osteoarthritis, it is expected that the chondroitin sulfate market would experience high growth during the forecast period. The competition scenario in the chondroitin sulfate market is high, owing to the presence of organized players in this market. This will give rise to various novel supplement products, which includes chondroitin sulfate. This factor is expected to enhance the growth of the chondroitin sulfate market over the years (2018 -2026). By source segment, the bovine sub-segment is expected to have a prominent place in the global chondroitin sulfate market, with a revenue share of 34.8% by the end of 2018. But this segment is expected to remain stagnant in the chondroitin sulfate market throughout the forecast period by maintaining the same market share. The fish, shark, and crocodile sub-segment is expected to hold the second-largest market share in the global chondroitin sulfate market in terms of value. It is estimated to have 33.7% share by the end of 2018, and is expected to rise to 34.5% by the end of 2026 in the global chondroitin sulfate market. These two source sub-segments are expected to hold 50% share of the whole global chondroitin sulfate market. There are other source segments such as porcine, poultry, and others. It is estimated that these source segments are expected to hold 21.1%, 7.4%, and 3.5% in 2018, respectively, in the global chondroitin sulfate market. These source segments are forecasted to hold 34.5%, 7.0%, and 3.1%, market share, respectively, in terms of value in the chondroitin sulfate market by the end of 2026. By form segment, the powder chondroitin sulfate form is expected hold the largest share in the global chondroitin sulfate market. It is estimated to have 81.6% share by the end of 2018, which is expected to be at 81.3% during the forecast period in the global chondroitin sulfate market. When compared to the other forms such as tablets and capsules, the powder form holds the highest market share in the global chondroitin sulfate market. The tablet form segment holds the second-largest share in the global chondroitin sulfate market. It is estimated to have 10.5% in 2018, and is expected to reach 10.8% in 2026, in the global chondroitin sulfate market. The capsules segment holds a low share, and is expected to remain stagnant throughout the forecast period in the global chondroitin sulfate market. It is estimated to hold 7.9% share in 2018, and is forecasted to hold around the same share in 2026 in the global chondroitin sulfate market. Some of the key players analyzed in the chondroitin sulfate market report are TSI Group Ltd., Solabia Group, AcerChem International Inc., Seikagaku Corporation, Jiaxing Hengjie Biopharmaceutical Co., Ltd, Aoxing Biotechnology Intl Co., Limited, Stanford Chemicals, Shanghai JBiChem International Trading Co., Ltd., Sioux Pharm, Inc., Pacific Rainbow International, Inc., Synutra, Inc., Zeria Pharmaceutical Co., Ltd., Summit Nutritionals International, Inc., Yantai Ruikangda Biochemical Products Co., Ltd., Bioibérica S.A., Dextra Laboratories Limited, CTPP-COPALIS, Derechos Reservados Syntex S.A., Hebei Sanxin Industry Group Co., Ltd., Sino Siam Biotechnique Co., Ltd., Iduron Ltd., Aroma NZ, Shandong Focuschem Biotech Co., Ltd., Kraeber and Co gmbh, Maypro Industries, Nuwen, Qingdao Green-extract Biology Science & Technology Co., Ltd., Qufu Guanglong Biological Products Factory, Shanghai Huiwen Biotech Corp., Ltd., United Fisheries limited, Yantai Dongcheng Biochemicals Co., Ltd., Shandong Yibao Biologics Co.,Ltd, Cambridge Commodities Inc., Internacional Farmaceutica Argentina S.A., CAMB (Hong Kong) CO. Limited, Choncept, L.L.C., PureBulk, and Bayir Chemicals, among others.